Revitalising Day Cream is a light moisturiser that balances the water and oil content of the skin, giving pale and dry skin a fresh and revitalised look. Beautifully radiant skin starts here! Help restore your skin’s moisture naturally with this light but nourishing day cream. Cleansing thoroughly each morning helps remove the toxins expelled from the skin overnight, however, this process can also reduce some of the skin’s protective coating, leaving it vulnerable to premature ageing. Skin needs protecting against harsh pollutants in the air and the sun’s rays, so moisturisers are key to any skincare regime. Organic plant-based moisturisers are fantastic for your skin, providing just the right levels of protection and nourishment; they penetrate the surface, hydrating deep down for lasting protection. 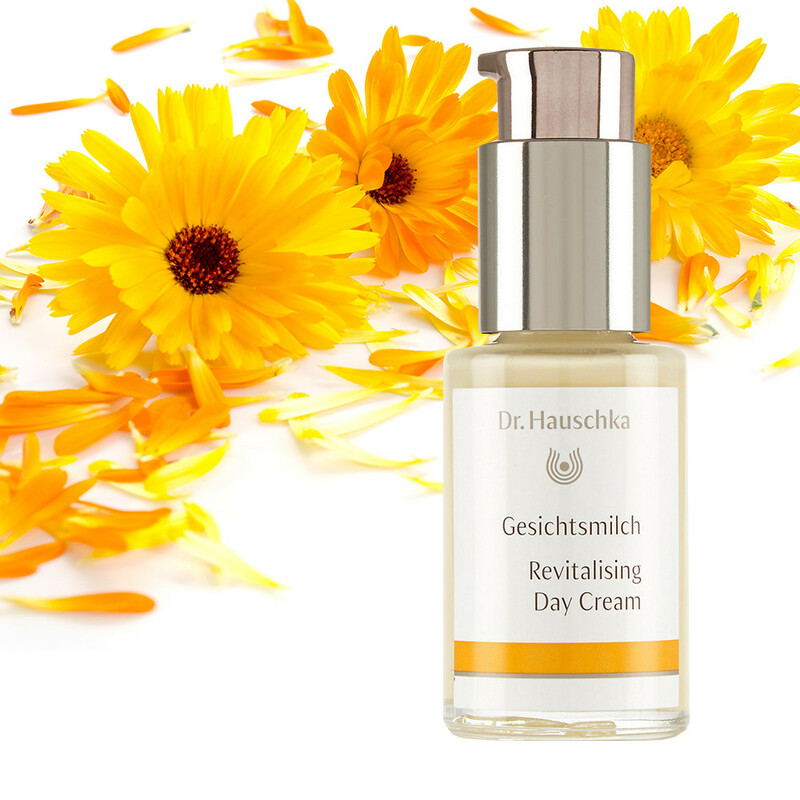 Revitalising Day Cream is created using a mixture of botanical extracts and oils including Anthyllis, Witch Hazel and Carrot for a youthful freshness, balancing dry and tired looking skin. Skin Type: Perfect for dry skin. Application: Apply Revitalising Day Cream after cleansing and toning your face in the morning, apply a small amount evenly to face, neck and décolleté. This is a great primer before applying make-up. Tip: Revitalising Day Cream together with Clarifying Day Oil provides an ideal skin care for combination skin. Simply mix these two products in your hand and apply them to your face. Ingredients: Water (Aqua), Anthyllis Vulneraria Extract, Prunus Armeniaca (Apricot) Kernel Oil, Alcohol, Hamamelis Virginiana (Witch Hazel) Bark/Leaf Extract, Prunus Amygdalus Dulcis (Sweet Almond) Oil, Olea Europaea (Olive) Fruit Oil, Daucus Carota Sativa (Carrot) Root Extract, Arachis Hypogaea (Peanut) Oil, Helianthus Annuus (Sunflower) Seed Oil, Hypericum Perforatum Flower/Leaf/Stem Extract, Glycerin, Calendula Officinalis Flower Extract, Lecithin, Triticum Vulgare (Wheat) Bran Extract, Simmondsia Chinensis (Jojoba) Seed Oil, Fragrance (Parfum)*, Limonene*, Linalool*, Farnesol*, Benzyl Benzoate*, Geraniol*, Citronellol*, Citral*, Eugenol*, Benzyl Salicylate*, Algin, Xanthan Gum.